Why Should You Use My Recipe? I've been baking peach cobblers for years, and I've learned a few things to do -- and what NOT to do. The fact is that there's quite a big difference between a merely "good" peach cobbler and a truly great one. The following recipe has been getting raves for a lot of years now, and I'm sure you'll get lots of praise when you bake it, too. Don't be put off by the long instructions. They may look intimidating, but they really aren't. I'll walk you through every part of the process. Let's face it. An outstanding peach cobbler comes down to only two things: great peaches (of course) and a knockout crust. Some people will overlook merely "average" peaches if they're topped by an incredible crust. Here's how to make the best cobbler crust you ever tasted. I've looked all over the Internet and I have never seen a recipe and technique quite like the one I'm about to explain to you. 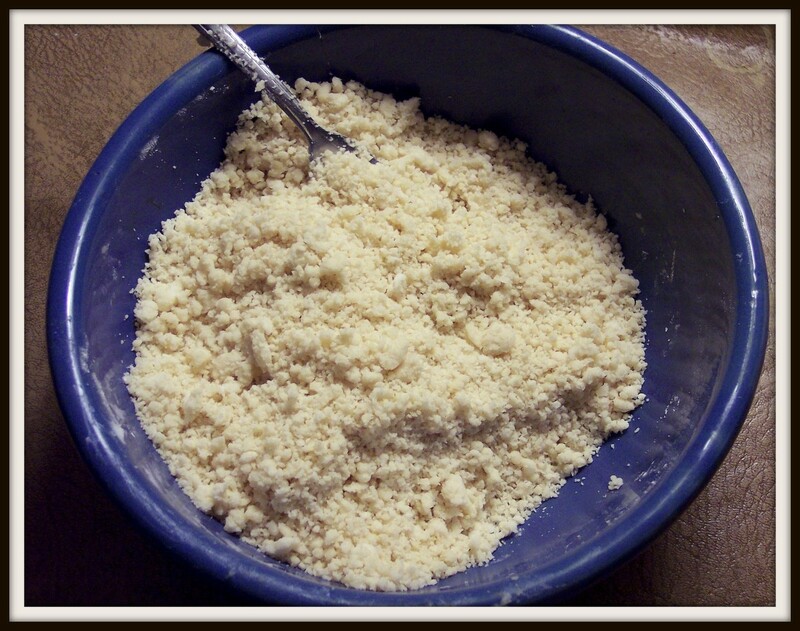 Mix the flour and salt in a bowl large enough for you to easily work your hands inside of it. Chop the butter into pieces the size of marbles and drop them into the flour, and put in small pieces of the lard or shortening. Toss the butter and lard pieces in the flour, then begin to rub them into the flour with your fingers. Here's the odd part: after you've mixed about half of the butter/lard, meaning you still have roughly half of the marble-sized pieces still in the flour, wet your hands at the tap, shake off the excess, then continue to mix the butter and flour with your fingers. You'll need to wet your hands 3 or 4 times while you're combining the flour and butter. Leave some larger pieces of butter (about the size of peas) -- they will make your crust flaky. Spoon about 5 tablespoons of the iced water in your flour, and then use a fork to slowly incorporate the water. It's okay to add more water. Most recipes don't include enough water. However, because you've wetted your hands with water you will notice that you won't need much more than the original 5 tablespoons. Gather it into a ball and place it on plastic wrap. If there's a little bit on the bottom of your bowl that's still dry, it's okay. Press it onto the top of the ball of dough, wrap it up tightly and put it into the fridge. I know, I know. Who has the time to make dough then chill it? But... hey... this step of chilling the dough is absolutely vital to making a phenomenal crust. The dough needs to chill for at least an hour, preferably two hours. I usually make my dough in the morning, put it into the refrigerator, then later in the afternoon when I'm ready to make the cobbler, my crust-dough is ready to go. If you're using fresh peaches, simply drop them into boiling water for about 30 seconds (this makes it easy to remove the skin) then slice them into a bowl. If you're using peaches from the freezer, you'll want to let them come to room temperature. Combine 1/4 cup of cornstarch with one cup of sugar. It's important to combine these before you add them to your peaches. To four cups of peaches add the sugar/cornstarch mixture and stir carefully. Squeeze half of a lemon into your peaches then grate about one teaspoon of the lemon rind (the yellow part, not the white part) into the bowl then combine well. Spray your baking dish with Pam (makes it really easy to clean later, and even an older dishwasher will be able to clean the dish if you do this) then pour your peaches into it. Now you're ready to make your lattice crust. Lay out sheets of aluminum foil on your counter then cover with a light dusting of flour. Remove the dough from the refrigerator, and press it into a flat disk with your hand. Using your roller, roll the dough from the center outward till it is about an 1/8th of an inch thick. As you roll, you'll need to lift up the dough and sprinkle flour beneath it. I usually end up turning the dough a couple of times, to make sure it doesn't stick to the foil. You'll find that working with thoroughly chilled dough is so much easier than working with dough you just mixed! Slice the dough into long strips, and lay them in a criss-cross pattern on top of your peaches in the baking dish. In the "holes" created by the lattice-crust, put small pieces of butter. I usually just slice off a thin sliver of butter from a stick, then cut that into fourths. Each of these "fourths" goes into a hole. Sprinkle sugar on your crust, then carefully sprinkle grated nutmeg and a little cinnamon onto the crust. It doesn't take much, but adding nutmeg to the top of the crust will really increase the delicious aroma when you take it out of the oven. Then I spray my cobbler with Pam. This will make your crust glisten in the same way that an egg-wash will make it glisten. The only difference? It takes me about 10 seconds to spray it with Pam, and quite a while to beat an egg with ice water and paint it onto the crust. In my opinion, the Pam looks better and it certainly is easy. Put your cobbler into the oven and set the timer for 45 minutes. Depending on your oven, it may take as long as an hour—you're looking for the crust to become a delicious, crusty brown. 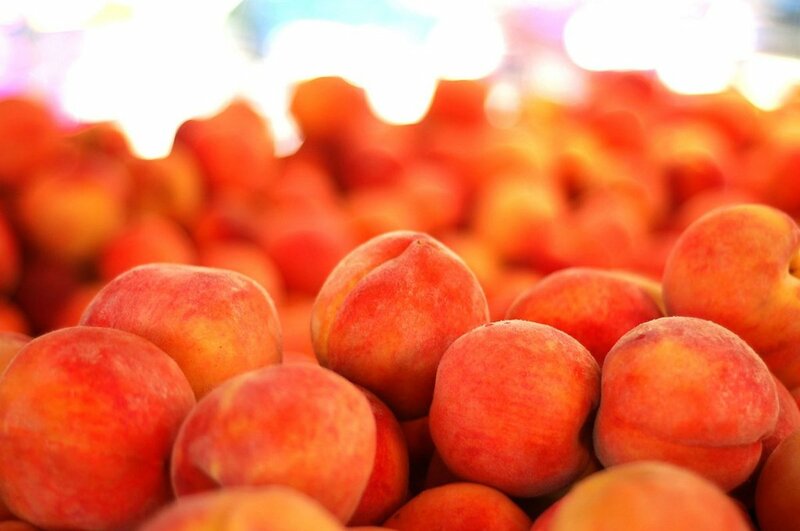 After all, part of the charm of a cobbler is the texture contract of soft sweet peaches with crispy crust. Serve it with vanilla ice cream, and get ready for the raves! What size baking dish do you use for peach cobbler? How many servings does a recipe yield? Do you serve hot or cold? Use a 13X9 baking dish. The recipe serves 12 -- 15 people. Cobblers are usually served room temperature, but if you can time the baking to serve it hot, then go for it! I always serve cobblers with vanilla ice cream. Why do you not put crust on the bottom of your cobbler? I've put a crust on the bottom before my cobbler before, but it gets soggy. I know that some people like these dumpling-like soft pieces, but I prefer it crispy on the top and avoid crust on the bottom. If you like those soft pieces, then double the recipe and layer the bottom of your pan with the crust. Spoon the fruit on top then criss-cross the rest of the crust on top. My peach cobbler crust is made, but the fresh peaches are still hard. Can they be used? Will they soften in baking process? Hard peaches haven't ripened enough to make an excellent cobbler. But yes, they will soften as they bake. Increase the amount of spices to account for the lack of peach flavor. Next time, wait until the peaches are barely ripe for best peach flavor when baked. Wait till they're perfectly ripe (able to indent the skin with a fingertip) for eating out-of-hand. I've never made one like that before. But my guess is that you would bake the bottom crust first, then put the prepared (sweetened and spiced) peaches on top, then the top crust, then bake the whole thing. A long time ago I knew a woman who would make two crusts, then roll one out and cut them into long slices then bake those on a cookie sheet till they wee crisp (like cookies.) Then she'd put those on the bottom of her baking dish then proceed as I mentioned above. If you try it -- and it's successful -- write to me! If I want a crust at the bottom, should I bake that first? and then do the filling? You would need a pan that's larger than 9 X 13 if you double the recipe. Also, peaches extrude juice during baking so if your final cobbler comes to the top of the pan, place a jellyroll pan underneath it when you bake it to catch any drips. Good luck with your cobbler! And thanks for writing. If this is done in a 9 x 13 pan, how full is it for the finished product? Just curious as I am thinking about doubling and am trying to figure the size pan to use. Thanks! Your adjustments were great! Sometimes when I have lots of peaches I'll up the size of my crust, too. Wish I had a pic of your beautiful cobbler. Thanks so much for taking the time to write to me. Ok.. this was the best cobbler recipe..i used fresh peaches, and a 9x13 pan. I wanted to be sure i had enough crust.. so i added 1/2 cup additional flour, bumped the butter 2 tbsp, and lard 1tbsp. I wanted to soften the crust a little and added 1 tsp baking powder and 1/3 cup sugar. I increased the baking time a little to get a good brown. It came out perfect and was delicious. I'd post a pic but can't figure out how!! You can leave the lemon out since your friend is allergic. You'll still enjoy the texture of the crust, and those sweet peaches. Thanks so much for reading -- and good luck with your cobbler. Hi Buster! First of all, I want to start by stating that I enjoyed reading the instructions that you have posted. Thank you for taking the time to write such concisely, clear instructions. I cannot wait to try this. My grandmother had always made the thicker cobbler "dump" crust. Preferably for my family though, I wanted to try a thinner, sugary topping. We would like to try this out on a friend but she is deathly allergic to anything with citris acid or aspirin. Is the lemon necessary? Any thoughts or advice? Thank you from a Georgian peach born and raised!! Hope you have a wonderful day! Yes, you can use canned pie filling. Arguably, the crust is the best part so... I say, go for it! I have been looking for a recipe like this for a long time. I used to have a very old cook book with similar recipe. It got lost in a move. Had the best recipes. Thank you! It is a great crust! Your comments have made my day! My grandmother loved to make cobblers, and the taste-memory I had of them is what lead me to put this recipe together. She made them willy-nilly so there was no recipe that I know of, so I had to experiment. Anyhow, thank you... and here's wishing you a lovely Thanksgiving. This was absolutely the best! 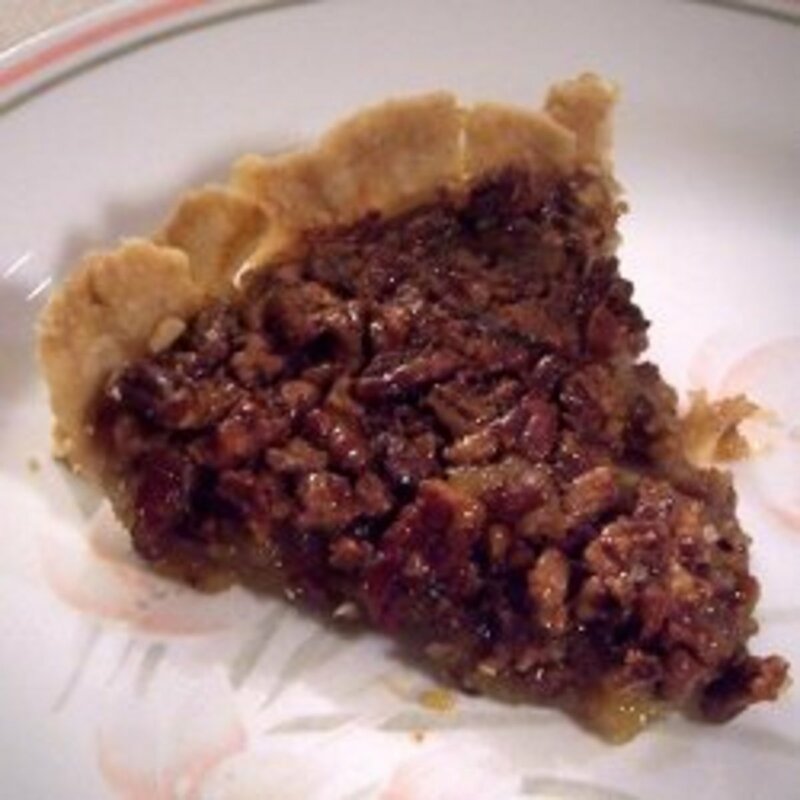 Both the crust and the filling are wonderfully delicious and flavorful. It reminds me of the cobblers my grandmother used to make, and that makes me very happy. I can't wait to share this with family during holiday dinners. It'll definitely give pumpkin pie a run for the money this holiday season. Thank you so much for sharing! What a nice surprise this early Sunday morning to find your comment. Thank you. I would use 4 1/2 cups (ish) fresh peaches. In my view, 6 cups of peaches are too many for this crust recipe. Once you're using fewer peaches I think you'll like the peach-to-crust ratio. I'm glad you've enjoyed it Fred -- thanks for taking the time to write to me. I've made your peach cobbler about six times now. Great recipe! I usually use 12 fully ripe peaches which yields about 6 cups. When I bake the recipe in a 9" x 13" pan I seem to have too much juice for the amount of crust on top. Other recipes suggest pushing spoonfuls of dough into the peaches before adding the lattice crust. Do you buy this, or do you have other suggestions for increasing the crust to peach ratio? Drain off the liquid if you're going to use canned peaches. I think 2 cans should be about right for this recipe. If using canned peaches, do you use the juice also? How many cans would you say to use? Thank you for the recipe. I can't wait to try it. Look just below "Final Touches" in the peach cobbler recipe. You'll see How To Freeze Fresh Peaches in blueprint. Click the blue print and the link will take you there. Yes, absolutely! I've used this cobbler recipe with pears, plums, and nectarines. No other changes to the directions needed. Can this cobbler be made with the fresh pears I prepared to freeze per your instructions, I had a wonderful year with my pears and I want to try different ways to use them. Anxiously waiting, Thank you so much for the freezing directions. It means a lot to me that you'd take the time to tell me about your wonderful day. Hey Buster,wanted to give you some feedback on the Peach Cobbler I made for my daughter's wedding rehearsal dinner about three weeks ago. I made two large ones to serve more than 50 people. By the time I got to eat, there were just scrapings in the bottom of the pans. The food was catered, but I chose to make the dessert. Several people wanted to know who made the dessert, and when I said I did, I got a request to make the same recipe for my niece's Wedding Rehearsal Dinner in July, and I'm so looking forward to it. Thanks again. Your comments have made my day! Congratulations on the big event. There isn't a bottom crust for a cobbler. The sweetened peaches are placed into a baking dish then the dough is cut and latticed on the top. Good luck! And thanks for taking the time to write. Is there a way to keep the bottom crust from getting soggy.. should I pre-bake the bottom crust first? You've made my day! Thanks for taking the time to write. This is delicious. Rolling it out and making the lattice was a snap. I haven't had old-fashioned peach cobbler in ages, and I can't believe I am the one who made it!!! Thank you so much for sharing. Use a 13X9 baking pan. This recipe makes about 12 servings. what is the serving size, and what kind of baking dish to use? Yes, the bottom crust will be soft with no crunch at all. I had another aunt who would put a few peaches into her pan, then a layer of crust, then bake that crust till it was brown (approximately 20 minutes or so) then she'd pour on the rest of her peaches (a lot!) then another layer of crust and bake THAT. The bottom layer would be soft, of course, but it would have a beautiful golden color. if i use the crust on bottom add peaches then crust again, will the crust be soggy on bottom? Good luck with your cobbler! If when you taste them that you think "these could be sweeter" then add more sugar; if not, then the sugar you use for preserving them may be enough. Err on the side of "too sweet" -- because the baking process will make them seem slightly less sweet. I'm sure your cobbler will be a great success! Hello there! Thank you for the recipe I am making it tomorrow! My question is that today I am preparing some peaches for the freezer... I am wondering if I use the one's I am preparing today for tomorrow's cobbler should I still add sugar and prepare as directed if I am using them tomorrow? They are ripe and are relatively sweet. I am still going to add a cup of sugar and lemon juice as you have indicated for freezing them... Should I still add more sugar tomorrow when I make the cobbler? Just want it to be perfect... It's for my Mom's birthday!! When I have peaches that have lots of juice, I tend to spoon some of it off, so I'm only adding the cornstarch listed in the recipe. Adding more seems to make the peaches seem "slick" -- not sure how to describe it -- and so I'd rather add that extra peach juice to my orange juice in the morning, or (if I have a lot of juice) reduce it on the stovetop and put it on toast. Thanks so much for taking the time to write to me! I just froze some fresh peaches using your method and plan to make your cobbler soon! My peaches with the right amount of sugar added made a lot of juice! Have you ever needed to add more than 1/4 c. cornstarch to thicken during baking? I also like using tapioca. Looking forward to making your cobbler recipe! Thanks! Yes, it works great to make the dough the day before, then bake it the day you plan to serve it. 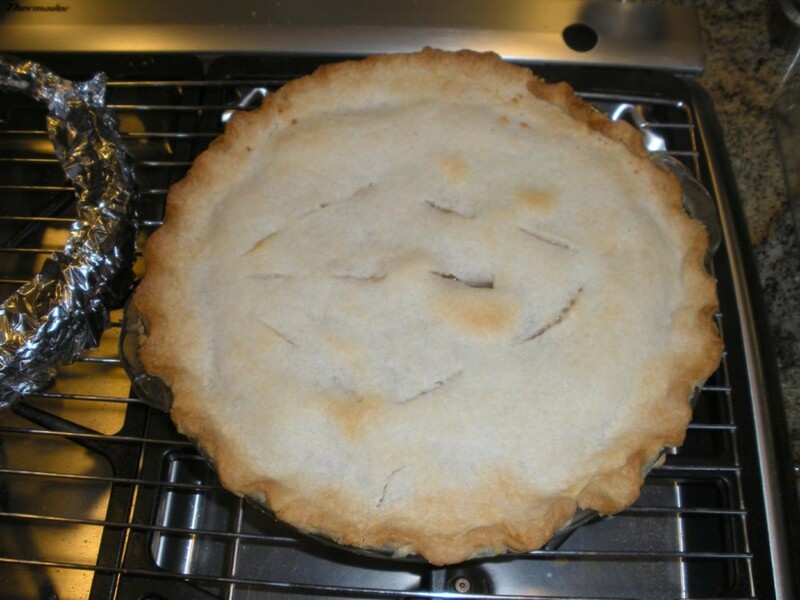 Since you stated that it is best to make the cobbler the day you are serving the cobbler can I make the dough and keep it in the refrigerator the day before? I'm so glad you enjoyed it. I plan to make a peach cobbler this weekend! ThanK You for the cobbler recipe I cant wait to try it!!! Do You have a recipe for Apple fritters? The baking process doesn't improve the ripeness of peaches, of course. If I were you, I'd wait until you have enough ripe ones, then make this cobbler. The best fruit desserts are always made from the ripest, best fruit you can find. Hey Buster - What if my peaches aren't super ripe? I have a few ripe ones, but most of them are pretty hard. I'm under kind of a time crunch because I'm supposed to make this tonight (although reading your same day recommendation I might make it first thing in the morning). Will this turn out okay still? Do I need to add extra sugar or anything? Please let me know! Thanks! I'm glad to hear about your success with the cobbler. I always freeze fresh peaches -- not only do they make great cobblers throughout the year, but I like adding them to fruit salads and smoothies. Thanks for taking the time to write to me. I made this peach cobbler last weekend and it was excellent! 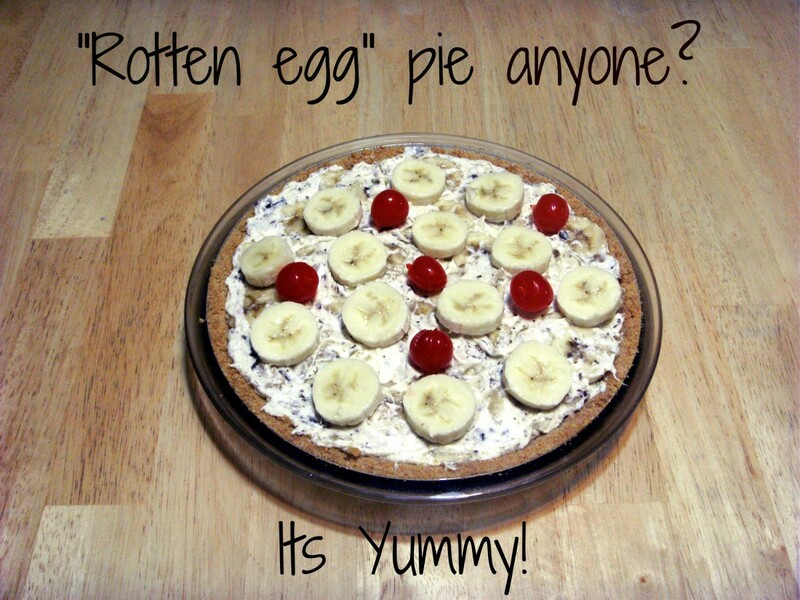 I received rave reviews from everyone and several requests for the recipe. Thanks for sharing! I have a box of fresh peaches that I plan to put up using your "freezing peaches" advice, so that I can continue to make cobbler with fresh peaches throughout the cold season. Thanks for answering so quickly, & for the good advice. Yes, it's possible to assemble a cobbler, freeze it, then bake it later. Here's the trick: after your dough has fully chilled, roll it out quickly. THEN toss your peaches with the sugar and corn starch. From this point forward, assemble quickly. 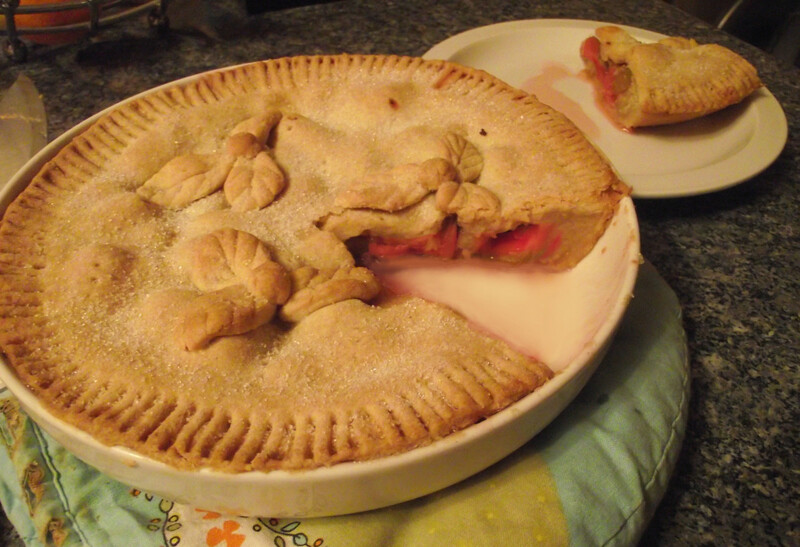 What you want to avoid is having your freshly rolled out crust sit on wet peaches -- it can make it soggy. Cover the cobbler with foil and put immediately into the freezer. When you're ready to bake it, remove it from the freezer and put it (still frozen) into your PREHEATED oven, just like I've mentioned in the recipe. The cobbler will take longer to cook... though usually not much more than about 20 minutes or so. I hope this helps -- and good luck! I am having a family reunion & would like to assemble this cobbler, freeze it, & then cook it the morning of the Reunion. Do you think this will work, & would you happen to know what temp & how long?? Thanks! Some flours do need a little extra water, so you may have put your finger on the issue. Like you, I've noticed that when my crust looks a bit "ragged" when I'm rolling it out... it turns out even flakier than I could hope for. Julia Child used to write that she liked her crust to "look bad" when she was rolling it out -- this confirmed for her that she was about to make the best crust ever. Thanks for your encouraging words. I love cooking and baking, and enjoy writing about this incredibly rewarding activity. After thinking more about my dry crust problems, I'm now wondering if using White Lily A-P flour, which is lower in protein, might have made the difference. The instructions on the WL flour bag read "use 2 extra TBSPS. of WL flour per cup to equal one cup of regular all-purpose flour. I also had ALL my ingredients ice cold which made them very hard to work in together...wondering now if they were TOO cold! After I did manage to get it on the cobbler, though, it baked fine. The crust was SO flaky!! Thanks for your prompt reply and helping so many people enjoy baking. Hope you decide to write a cookbook. I, for one, would be first in line to buy one. The Chemists in the Kitchen say that the amount of water needed for making crust is dependent on the amount of moisture in the air. Sometimes when I make cobbler, I'll need 7 tbsp. of water... but there have been other times that I had to add another 2 or 3 tbsp. I wish I knew the full reasons for this, but I don't. Here's how I gauge it: as I add in the water and carefully stir it into the flour, I try to gather it into a ball. If it will *mostly* come together, then I know it's ready to be wrapped and put into the fridge. While there, the moisture will continue to work its way through the flour. However, if my ball of flour falls apart, then I add another tbsp. or two of water, stir, then see if I can make it come together. Be careful to avoid overworking the dough -- it can become tough. I don't take my dough out of the fridge until I'm ready to roll it. It seems that I get a flakier, crisper crust that way. Cobbler crust, like pie crust, is an art rather than a science. It sounds to me like you're on your way to becoming an expert. I really appreciate that you've taken the time to write! I've made your peach cobbler twice now and my husband and I think it's the best cobbler we've ever had. I had to use clingstone peaches yesterday, though, since freestones are not available in our area until July. They were still good; just not as good as freestones. I had one problem with the crust, though. I made it the day before, refrigerated it overnite, let it sit out awhile before rolling it out but it kept falling apart as I was rolling. It just didn't have enough water, I guess, but I had used about 7 tablespoons of ice water to make it, but guess I needed more, huh? I've always been very careful about using too much water. Any advice on this? I love reading all the comments. Ahhh, fresh local peaches! I'm glad your cobbler was a hit! Thanks so much for sharing your story. I made this today using peaches from a local farm, and it was DELICIOUS! We all loved it. Thanks for sharing your recipe and the techniques. The crust was fantastic. Dewberries! Wow, I haven't heard about those since I was a child in the 60s. I wonder what happened to them? My grandmother made double-crust pies with them, and I loved their sweet-tart flavor. As to your question about using canned cherries, it depends on whether they've been sweetened. Some cans are "cherries in syrup" and others are cherries without added sugar. I'm a big believer in getting out my spoon and trying them out. If they seem like they could use a dose of sugar, then I would add it till they're sweet like a dessert. Thanks for writing -- you've made my day. I'd like to help you, but I don't know what you mean. Were they like large sugar crystals? If so, then those are called Sugar Crystals for Baking. They're about five times the size of regular sugar crystals, and add sparkle to the tops of sugar cookies, or cupcakes. I've seen them on cobblers, too... though that is rare. Hi there...I'm going to really try this recipe asap...I just have a quick question...I had a peach cobbler at a restaurant and it had this sugar crystal hardened thing on top of the crust...I need that in my life lol...would u have any idea on how to make something like that? I had an aunt who would layer dough then pour spiced peaches on top. She'd bake this until the crust browned, then she would pour more spiced peaches on top, then another layer of dough, then bake that till brown, then pour on more fruit, and so on. It would create soft dough layers, with the taste of browned crust. Whether to use sheets of dough, or use a lattice structure, or drop the dough in spoonfulls... each baker does it their own way. I think cooks should try all sorts of ways, just to see if they might like the dough of their cobblers in a way that is different from what they're accustomed to. Cool recipe. My mom did a similar but different one. She made the crust by hand and used lard and cold water. But she didn't refrigerate the dough. Also, she rolled it out into long strips, but put them down as sheets to cover, not as a lattice. She used canned peaches mixed with sugar and nutmeg, and poured some of it in the pan. Then she'd put in a layer of dough to cover, then some more peaches, another layer of dough, etc., finishing up with a dough layer to cover the whole pan. Again, no lattice structure. The result was a pie with soft crust layers in the middle, and a crisp dark brown crust on top, with peaches layered in as well. Delicious! In my family, no one ever makes lattice structure deserts, and cobblers are all made like this. They're all from Palestine and Ft. Worth, TX. I never see cobblers like this outside certain cultures /families like mine, have you? The only substitute that I think (sort of) works is Splenda, which you use in place of sugar, and in the same proportions as the sugar called for in the recipe. To be honest with you, I don't think anything is a substitute for sugar, in terms of taste. Splenda has an odd taste that reminds me of chemicals. Anyhow, I hope the cobbler turns out for you! I am planning on making this peach cobbler for Thanksgiving. Can you please tell me what I can use instead of sugar? I have a few family members that do not eat sugar and I need a good substitute. I am very excited to make this dessert. SO good :) Very worth it. Thanks!! Yes, same recipe different fruit. I'm so pleased the cobbler was a hit -- thanks for taking the time to write. I made this cobbler a couple of weeks ago with peaches from my farmers market. Delish!!! I had never made one but my boyfriend thinks he is quite an expert on them. It's his favorite dessert. He said this was the best one the ever had. I am making it with apples today. Do I just use the same exact recipe? 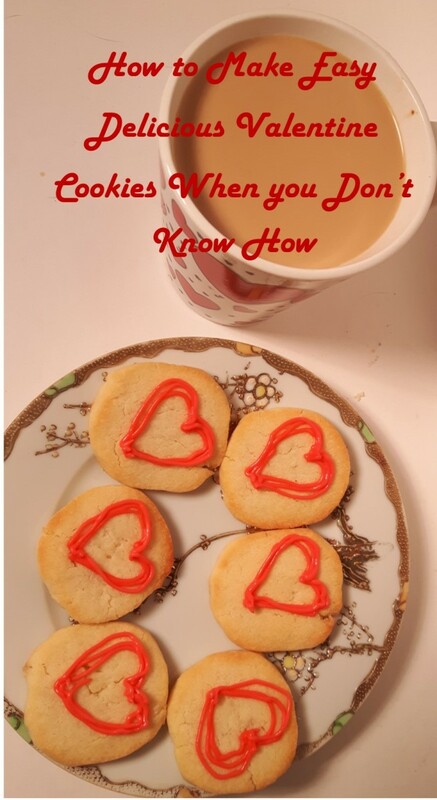 Love the story of how you've come to the recipe, and good luck impressing your boyfriend. This cobbler just might do the trick! :D This recipe is just what i was looking for!!! 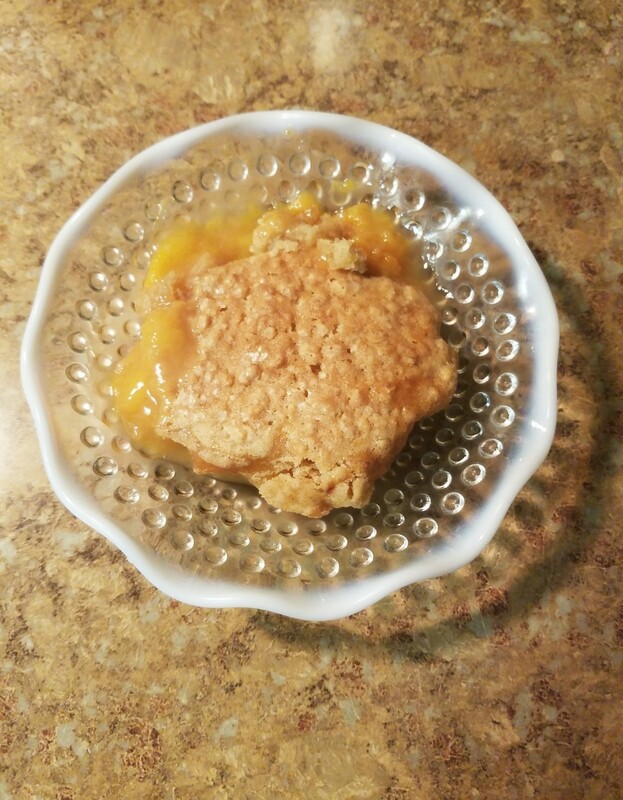 Peach cobbler is my boyfriend's favorite, and i hope to impress him by baking the best cobbler he has ever had (and i have to compete against his amazing grandma) but i think the recipe will him over :) thanks a million!!!! I'm making mine tonight. I'm hopeful!! You use four cups of peaches. Since peaches vary in size, I'm unable to say how many fresh peaches. Here's the easiest way: get a measuring cup, and begin slicing your (already peeled) peaches into it. Once you have four cups, you're good to go. Hi! If I'm using fresh peaches, who many should I use? Thank you Buster for your explanation. I will do as you say!! A friend of mine always wonders why my cobblers taste better. She asks for "my secret" and I say: it's because you've believed that "the peaches are sweet enough as they are." This is true if you're eating them out-of-hand, but if they're in a dessert, well, you need to Make Dessert. And that means sugar. Yes, you can overdo it, but for this recipe -- using peaches you've put into the freezer -- following the directions will give you a fantastic-tasting cobbler. A "Linda" already asked this question about the additional one cup of sugar when you freeze it and the juice of one whole lemon. I don't understand why you still add another cup of sugar and more lemon juice when making the cobbler when you already have put in one cupy of sugar and the juice to the four cups of peaches. Please advise. Yes, this crust can be rolled out and simply laid on top of the peaches. Don't forget to slash a few holes in it for steam to escape (for a 9X13 pan: probably about 6 holes scattered evenly over the top). I think a 9X13 is a great size for this cobbler. Hi Buster... I am just wondering what size baking dish you recommend using? Thanks! Corn starch can be tricky, but if you follow my recipe (mixing it with the sugar beforehand) you'll find it works great. If you're using tapioca, then mix it with the sugar beforehand, and use the same amount as corn starch. This was a fabulous recipe! I added a touch more sugar since my peaches were not overly sweet, and it was very very good! I double the crust recipe since I also had a large container of blueberries to use. Just wrapped it up in the fridge and will be using the extra dough to bake the blueberry cobbler off today! Of course the peach cobbler is LONG gone! Thanks so much for this recipe - it is a definite keeper! Enjoy everyone!! I am currently in the process of making your cobbler recipe. I was wondering if you know how I can substitute tapioca for the corn starch in the recipe. I have never had a lot of success with corn starch. Thanks so much! You can substitute margarine for the shortening/lard... or, you can simply increase the amount of butter that's called for. This sounds great! The only thing is that I don't have lard OR shortening...is there anything I can use to substitute this? I can't wait to try it! Thanks for letting me know about the cobbler -- serving it with peach ice cream is a fantastic idea! I followed your advise; I prepped the entire recipe and added the crust just prior to baking. The cobbler was a huge hit! Instead of vanilla ice cream, I served it with Peach ice cream. It was delicious! Thanks so much. I think it might make more sense to freeze those peaches from your neighbor. They will take up less room in your freezer, and when you're ready you can defrost them and make a cobbler whenever you're ready. Hi Buster, I just found your page and this recipe sounds heavenly and can't wait to try it especially after reading all the rave reviews! Thank you for sharing! I have a question for you: My neighbor (bless his heart) brought me a giantic bowl of already cut and peeled peaches from his orchard (probably about 10-12 cups worth). Can I make the cobbler then freeze it? I want to use the peaches before they go bad. Thanks for taking the time to help us all! My concern is that the crust might become soggy from the juices of the fruit. Here's a suggestion: make the crust dough, but don't roll it out. Make the fruit and put it into a 13X9 dish, cover with plastic wrap and put into the fridge. On the afternoon of your dinner party, you'll have everything ready to assemble and bake. I love making this cobbler for dinner parties. I usually bake it in the middle of the afternoon, and have it on the counter when guests arrive. They love seeing a homemade dessert. I serve it at room temperature with ice cream, usually French vanilla. I would like to make the cobbler the night before and bake the next evening for a dinner party, will that work? So glad you enjoyed the cobbler! And yes, this crust recipe works great for double-crust pies. The proportion of peaches to blackberries you mentioned is exactly right. Follow all directions and... you're good to go. Thanks so much for letting me know how your cobbler turned out! Sure, you can substitute cinnamon. My parents "don't like nutmeg" but love my peach cobbler. When I told them there was nutmeg in it they were surprised. The amount should be *slight* -- enough to boost the flavor of the peaches, but it shouldn't taste of nutmeg. I know that might not make sense, but spices (ideally) should only enhance food. Anyhow, to be clear, when I've made this cobbler and then realized (too late) that I didn't have nutmeg, I always use cinnamon with good results. My family isn't to keen on nutmeg, could i substitute cinnamon with good results? Thanking you in advance. I'm sorry. I just now read the previous post about using a variety of fruits. I understand that you just substitute the blackberries for the peaches and use the same ingredients--sugar, cornstarch, nutmeg and lemon juice/zest. Can't wait to give it a try! Oh my word! This was amazing! Thank you for sharing and including your very detailed instructions. This is a keeper for sure. Would you happen to have a similar recipe using blackberries? Thanks again for this incredible recipe.